Militiamen loyal to an influential Afghan lawmaker beheaded four Islamic State fighters and publicly displayed their severed heads, officials said Sunday, highlighting an increasingly brutal conflict as the jihadist group makes inroads in Afghanistan. The killings in volatile Nangarhar province bordering Pakistan provoked horror and condemnation in a country that has witnessed four decades of bloodshed and war. The militia force loyal to Haji Zahir, deputy speaker of parliament, has been battling self-styled IS militants in Achin district in the province for weeks. Zahir said the group captured and beheaded four of his fighters, prompting his men to retaliate. "If they behead you, behead your son, do you expect us to cook sweets for them?" the firebrand politician told reporters. "Sweets are not distributed during war. People die." Zahir's men placed the severed heads of four militants atop stacks of stones on the side of a main road in Achin, district officials said. "If they were criminals then they should have been punished by the judiciary, not by a kangaroo court," district chief Haji Ghaleb said in comments cited by the local media. "This barbaric incident should not have happened." 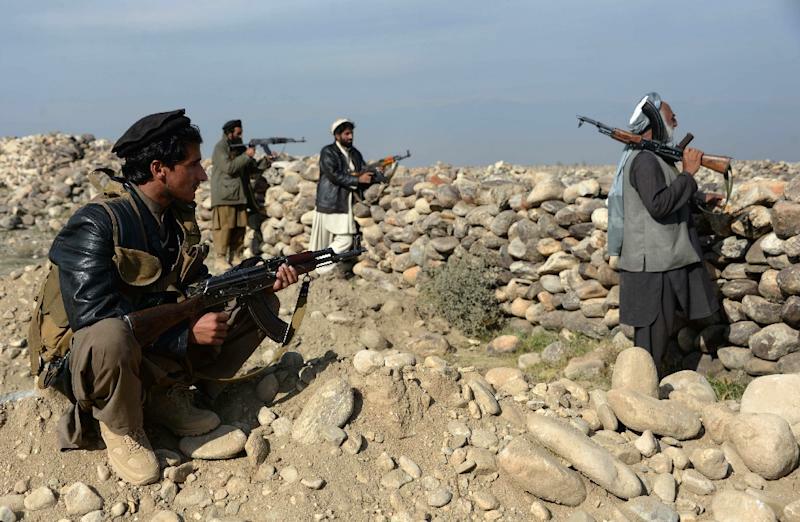 Nangarhar faces an emerging threat from loyalists of IS, which controls territory across Syria and Iraq and is making gradual inroads in Afghanistan, challenging the Taliban on their own turf. The jihadists have managed to attract disaffected Taliban fighters increasingly lured by the group's signature brutality that has made them notorious. In a sign of their growing reach in Afghanistan, the group has taken to the airwaves in a 90-minute Pashto-language radio show called "Voice of the Caliphate". The government has said it is trying to block the broadcast, beamed from an undisclosed location, that is aimed at winning new recruits.